Among items purchased at grocery stores, the item most-frequently associated with the purchase of diapers is beer. Many variations of the story behind this “beer/diapers correlation” exist. The most-common allegation seems to be that it was the result of a WalMart market-basket analysis. 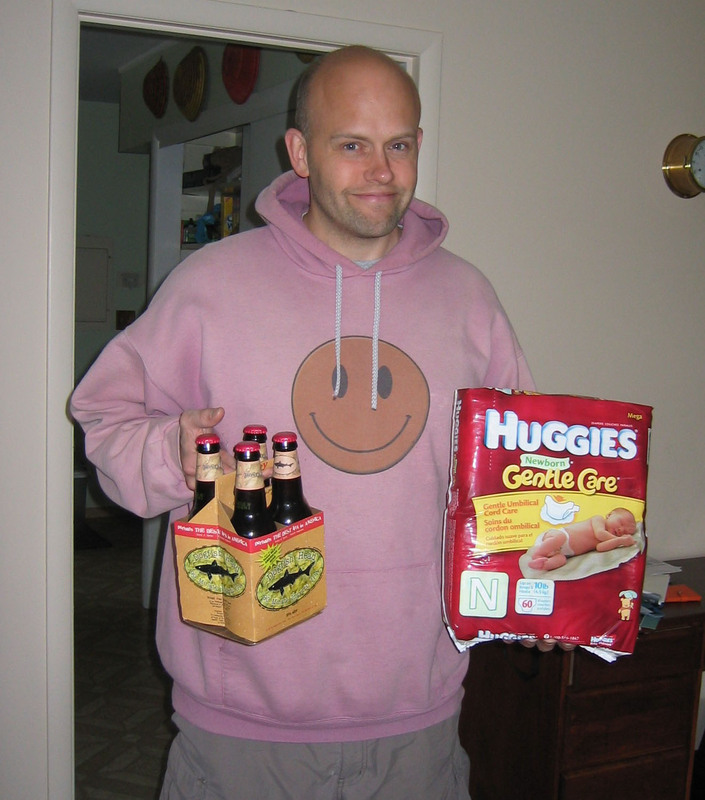 Some variants claim that these beer/diapers purchases were made mainly on Friday afternoons, by men between the ages of 25 and 35. Furthermore, some versions say that the store capitalized on this trend by putting a beer display next to the diapers, and thus sold more beer than ever. Alas, many doubt this story’s veracity. 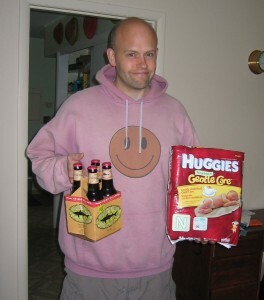 (You can read more about the diapers/beer correlation and its likely origin here.) While this doesn’t stop it from being a good illustrative example, it does sadden my heart a little, knowing that such an interesting trend might not be true. Anyway: I had an errand to run today: we ran out of cloth diapers, so I needed to go to the grocery store to pick up an emergency pack of disposable diapers, to keep us supplied until the resupply visit from the diaper service. There was nothing else on the shopping list except diapers … could it be more obvious what needed to be done? I say, if this isn’t an actual trend, let’s make one! New fathers everywhere: unite! Become a statistic! Always purchase beer with diapers! This entry was posted on Sunday, June 1st, 2008 at 21:46	and is filed under frivolous. You can follow any responses to this entry through the RSS 2.0 feed. You can leave a response, or trackback from your own site.